Next time you whip out playdough for your class, consider pairing it with our Wooden Patterned Rolling Pin Set. Each one has been manufactured from a machine-tooled durable natural wood. The cylindrical body has been textured with a range of different patterns. When rolled across the surface of dough, they each help to create a unique design that will develop their sense of creativity. The strong and sturdy handles can be gripped and held comfortably be even the youngest of children and are a great way to develop hand-eye coordination. 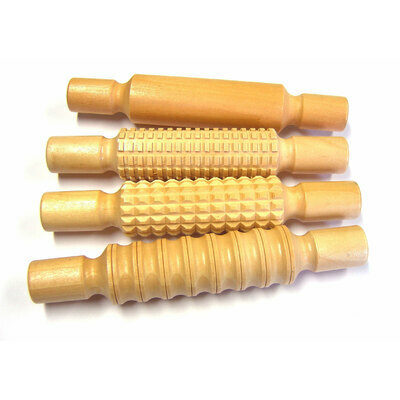 Each rolling pin is also fabulous when used with clay or paints.